Carazo is the executive director of Fundecor, a private non-governmental organization that’s working to manage Costa Rican forests in a more environmentally sustainable fashion. In association with American technology company Intel and the San Jose-based Aerial Robotixs, Fundecor is one of the financial backers of Deep Forest, a new program that hopes to use drone technology to scan and monitor the forest canopy more effectively and efficiently than ever before. Quesada is a researcher at the Center for Research in Forest Innovation at the Technological Institute of Costa Rica, an organization whose efforts to monitor and preserve the country’s natural wildlife is part of what’s made Costa Rica the only Latin American country to substantially reverse its deforestation. In 1983, only a quarter of the country was covered in trees – by 2010, that had become more than 50 percent. 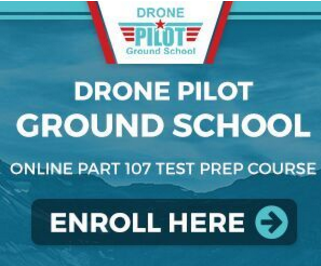 It’s not that drones can do anything that manual observation can’t do (at least at this time) – it’s that they can scan the canopy faster and more effectively than any other method. A powerful drone can easily fly above the top of the trees, and Deep Forest is equipping its UAVs with LiDAR HD technology – a type of high-definition laser scanning that’s becoming more popular in the high-tech drone space. Fundecor has previously used LiDAR HD with airplanes and helicopters, but the extreme price of renting such a vehicle has kept them from using it too frequently. The use of drones could keep costs down – and could therefore help to create a more complete portrait of the forest canopy than ever before. The Deep Forest project is still currently considered a work in progress. The drone needs to capture and store large amounts of data as it flies, requiring the presence of a massive onboard processor. The same processor also controls the flight of the drone, and in early tests, Carazo says that the amount of data would overload the processor and cause the drone to plummet like a stone. 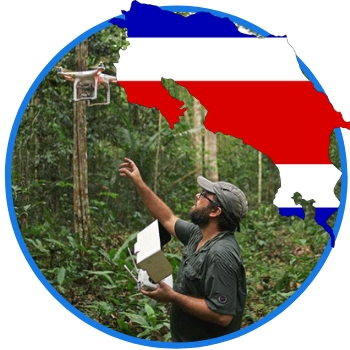 However, the drone will be scanning three forests near the city of Gualipes this year, which will be an important step leading up to a full rollout of the new technology. Drones are being used in environmental efforts around the world. They’ve been seen to gauge the health of forests, monitor deforestation, and even help with replanting. Furthermore, Costa Rica’s Irazú project will be tracking similar forest measurements using an even more advanced piece of tech – a powerful satellite that’s now orbiting our planet.